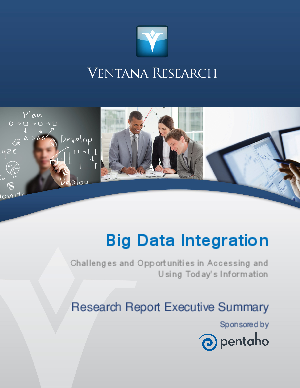 Ventana’s benchmark research on big data integration will help you become familiar with the tools and technologies you need to help your organization succeed with big data. Learn about what big data tools are commonly used today, what organizations are planning to adopt in the future, the biggest challenges you should be aware of with big data projects, and how to staff and fund big data projects across teams. Sponsored by Pentaho.